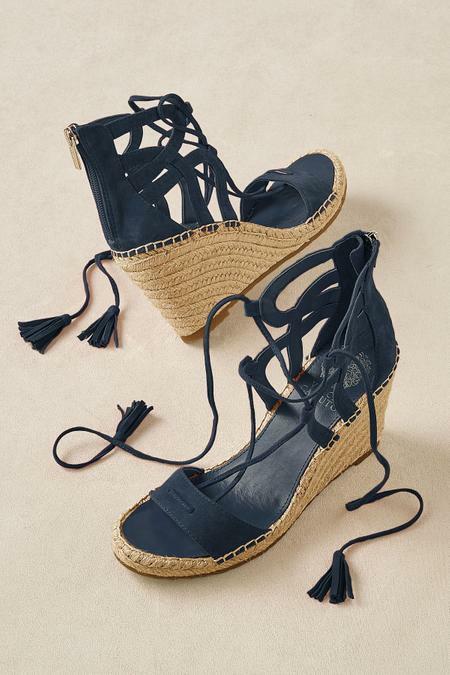 Vince Camuto's high-impact sandals interpret the season's trends with great style, from the strappy suede upper with corset lacing to wrap at the ankles, to the elevating jute-wrapped espadrille platform wedge. A back zipper offers easy on-off. Fashioned with a synthetic lining and heeled rubber sole. 3-1/2" wedge, 3/4" platform.